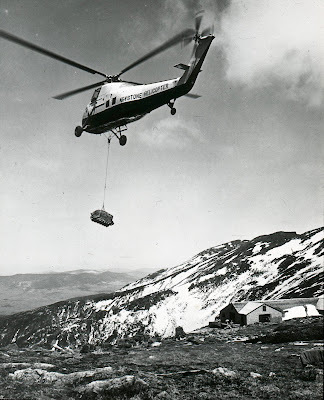 In the 125 years of the AMC Hut System various methods have been employed to carry food and supplies up to the huts. These days helicopters fly in dry goods and supplies at the beginning of the season, while hut crew pack up meat, dairy and produce twice a week. 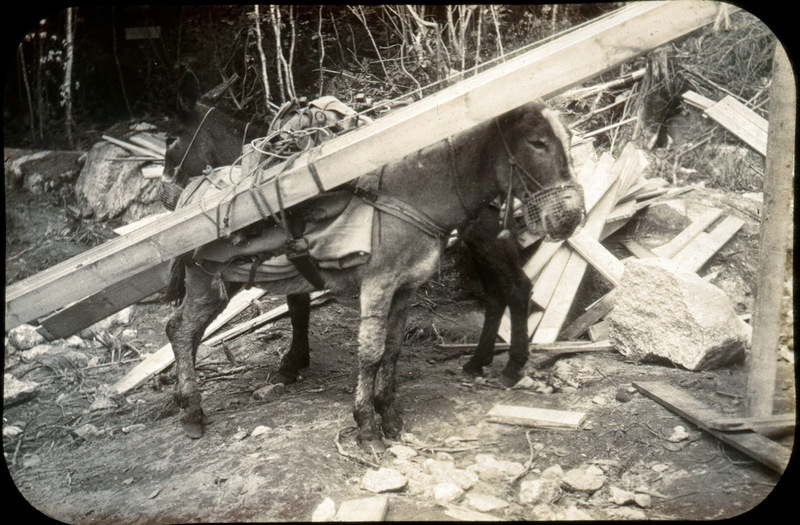 Back in 1929 the huts began experimenting with a more creative approach to getting materials into the huts - donkeys. 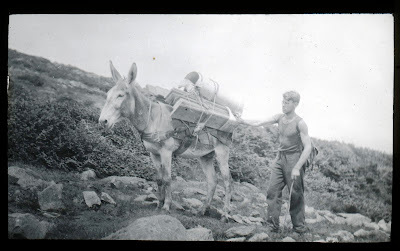 Originally brought from Roswell, New Mexico, the donkeys proved invaluable during their decades of use. 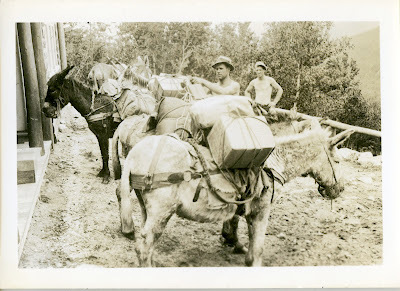 The “muleskinners” would spend a week hauling supplies up to each hut, then would load the donks into the truck and move the corral to the next site. 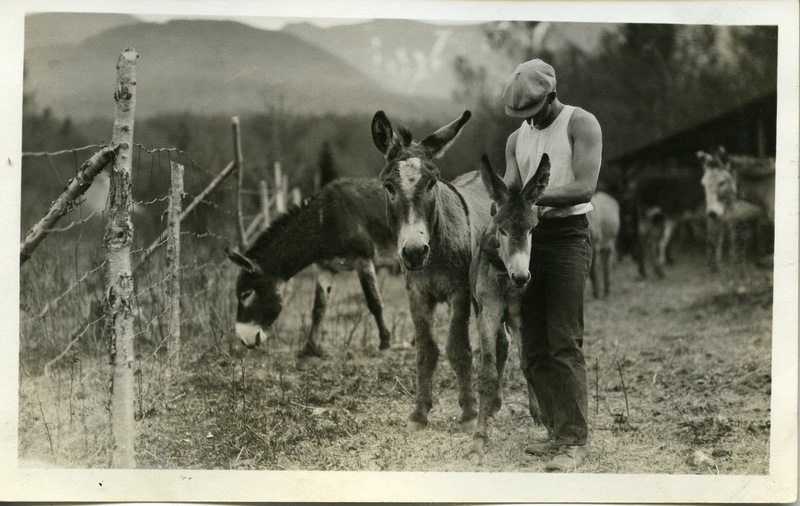 Every donk had its own personality and quirks. Little Horse was the most well-known, and the leader of the group. “We’d load the donks up in the morning and start ‘em up the mountain and Little Horse would go right to the beginning of the trail and he’d stand there. 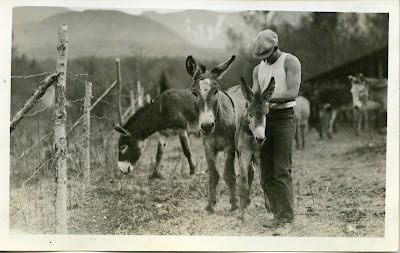 So help me I swear he was counting the donks to see if they were all there,” described Bishop. In 1964 helicopters were first used by the AMC in the construction of the Mizpah Springs Hut, signaling the end of the era of donks. 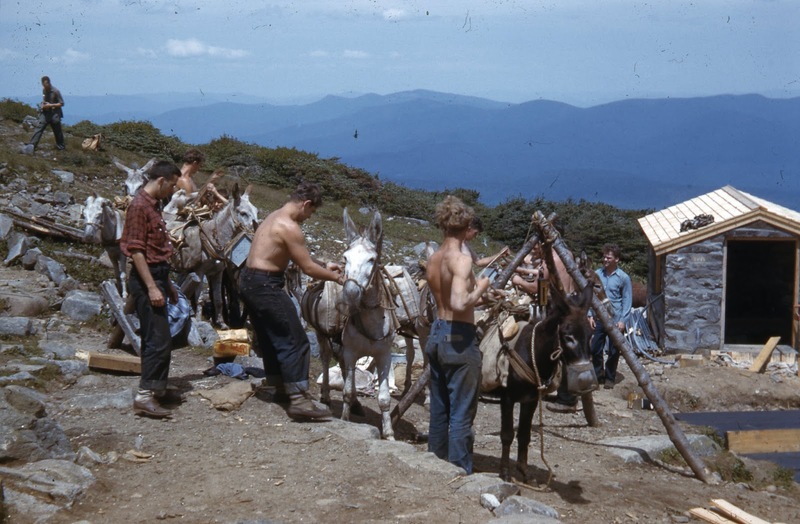 While they haven’t been in the Whites for nearly fifty years now, Little Horse, Trigger and all the others left their impact on the Huts system.